The Volirium P1 is a smartvario, combining the most sensitive pressure sensors in the market with a state-of-the-art flight computer in a compact, purpose-built package. Its software is newly designed and developed, focusing on ease-of-use and manual-free operation. A modern user interface that uses the concepts found on other mobile devices, like smartphones and tablets. This way you will feel immediately at home and know how to operate the P1. Automatic updates over WiFi: Connect your vario to any WiFi, and you’ll be immediately notified if we have released new software for it. In the near future, we’ll be using this mechanism also for airspaces, flight data and more. After each flight, the flight’s track is stored in an IGC file, the standard format for uploading flights to online contests, competitions and flight logs. But for a quick peek, the flight is also available as a Google Earth file, you can take a look at your track right away. Beeping varios at launch are a nuisance. The P1 only beeps once you fly, when you actually need it to. 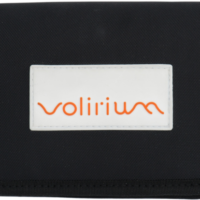 The Volirium P1 is operated with three large, domed hardware buttons that are easy to feel even with thick gloves on. Additional input can be given through the touch display, which also works with any kind of gloves. We use a special kind of display (a so-called “transflective” LCD), which ensures that you can read the information even in the brightest sunlight. Actually, the brighter the light, the better. We use our own sensor electronics, and a calibration process that we developed over the last 30+ years, to achieve an unmatched sensor resolution: The P1 can reliably detect altitude changes of 2 cm, based on the pressure change alone! This gives us an incredibly fast and precise vario. A vario that always beeps when you’re going up, no matter how slowly. But also a vario that only beeps when you’re going up, but remains silent otherwise, regardless of any other movement. The vario sound can be altered to match your taste, so that you enjoy listening to it and remain calm even in very strong conditions. The P1’s casing has been custom-built to keep its sensitive insides save, regardless of botched launches and hard landings. And even if things do break after all, they can easily be replaced by our service centers. The P1 is operated by a powerful battery that lasts for “a good weekend in Fiesch”, about 20 hours of airtime. 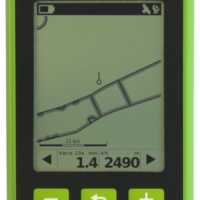 The P1’s positioning system was designed by our friends at Advanced Sport Instrument, the experts in satellite-based positioning and sports tracking. It uses both the data from GPS and GLONASS, giving us a very quick first fix as well as a very high accuracy. The positioning information is then used to draw a moving map that indicates your position, airspaces in your vicinity and waypoints. The P1 works with all the usual waypoint file formats, and gives you the option to either pick one point as your goal (“Goto”), or combine multiple points to a route. When flying along a route, you get up-to-date information about remaining distance and required glide to the next turnpoint and to goal. When setting a route as race route, the P1 will guide you through the launch and start procedure, help you fly the shortest way around the course, and give you your race time as soon as you fly into goal. Find more about the P1’s capabilities on the software page. WiFi: The P1 exchanges information with our servers over the Internet, using WiFi: Software updates and error reports, in the future also airspace and flight data. Bluetooth LE: Under development: Connect your P1 with any of the numerous free-flight mobile apps, to feed them with accurate climb, altitude and positioning data. FlyLink: Under development: Connect additional, autonomous sensors to your P1. 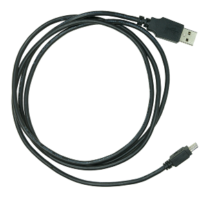 USB: When connecting your P1 to a computer via USB, it appears as a mass storage device (like a USB drive), giving you direct access to your flight tracks, and allowing you to upload waypoint and airspace files. The P1 user manual is still work in progress. Right now we provide an online version, but we are working on a version you can download and read offline as well. 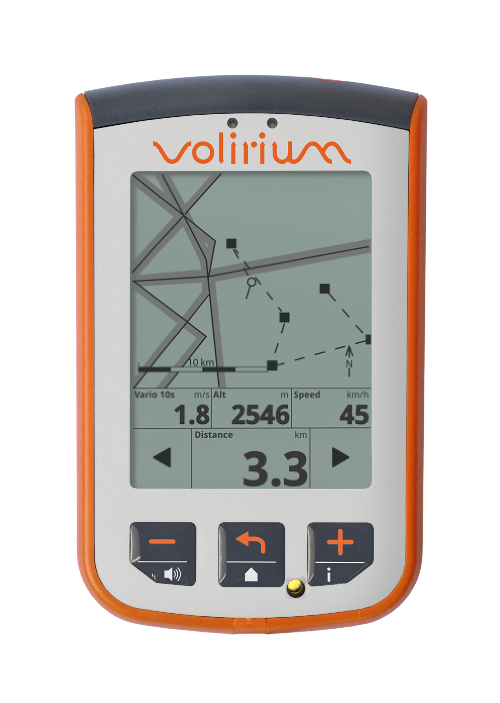 The Volirium P1’s software is newly designed and developed, focusing on ease-of-use and manual-free operation. Its user user interface makes use of the concepts found on other mobile devices, like smartphones and tablets. This way you will feel immediately at home and know how to operate the P1. Development is still ongoing, we continue adding features to the P1, and making it even easier to operate. Check out the Technical details tab for a list of planned enhancements. Click on this message to open the update screen, where you then start the update process. 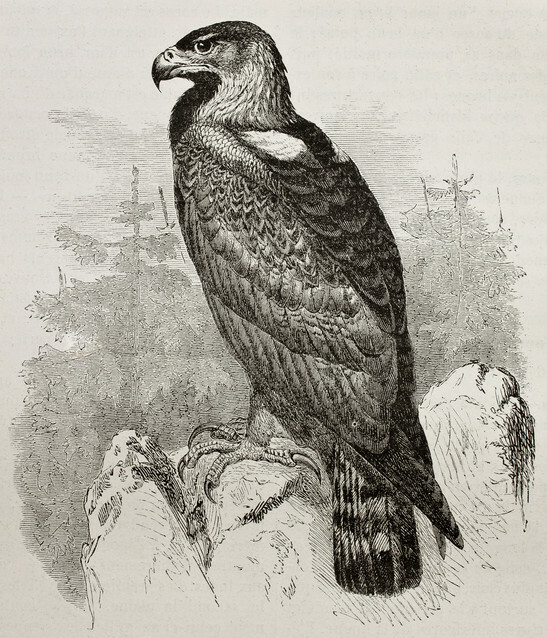 Golden eagle (aquila chrysaetos). Original by Kretschmer and Jahrmargt, published in “Merveilles de la nature” by Baillière et fils, Paris, ca. 1878. 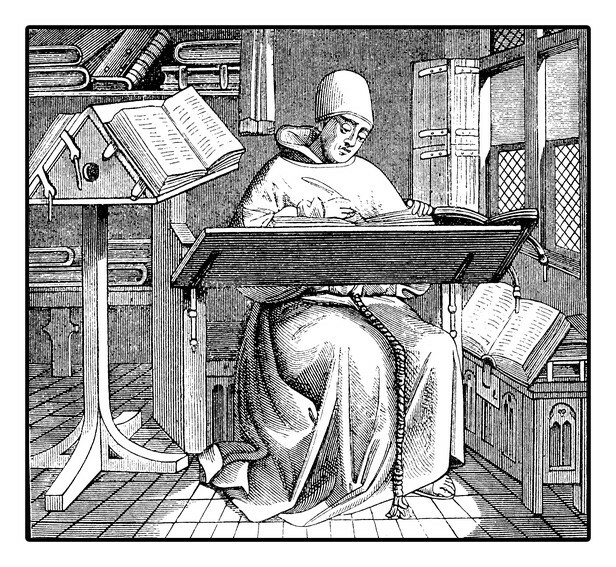 Stock Illustration. Contact us to find out more about any of these topics. XC distance: Live calculation of currently flown XC distance, over three turnpoints. This following items are given as an indication of planned future enhancements. This list will change over time, due to pilot feedback and our own assessments. We prioritize the items based on pilot feedback and our own plans. Check out the software page to find out what we are currently working on.